Law360, Miami (April 9, 2019, 8:28 PM EDT) — A federal jury found Tuesday that nursing home mogul Philip Esformes should forfeit his interests in the operating companies for seven Miami-area facilities after his conviction for money laundering, but didn’t give the government most of the assets it sought. Esformes’ counsel Roy Black of Black Srebnick Kornspan & Stumpf PA said the outcome exceeded the defense’s expectations, as the government effectively came away with only the operating licenses for the facilities but none of the various physical assets it sought, including money in various bank accounts and Esformes’ interests in the businesses’ real estate and several personal properties. “Definitely, we did far better than we thought we would based on the counts of conviction,” Black told Law360. The jury’s ruling in this second phase of the case continued a streak of mixed results for the government, despite prosecutors securing a significant conviction overall. The jury found Esformes, 50, guilty Friday on 20 counts of paying and receiving kickbacks, money laundering, bribery, and obstruction of justice at the end of a two-month criminal trial, but the convictions lacked any substantive health care fraud charges, even after the government consistently billed the case as the largest health care fraud case in history. To read the remainder of the article as subscription to Law360 is required. Click here. Hersh Deutsch and Deutsche Venture Capital LLC, the Allegations of Millions of Dollars in Criminal Behavior and the “Who was Scammed by Whom”? These crimes, like the Credit Card Swipe, and the scam listed herein are far too easy. The community that gets victimized is far too vulnerable. The people who are injured do not even see it coming until their trust is completely violated. And, putting an end to it all seems untenable given the reach of this community and its fraudsters. The politicians are financially beholden. The money flows like milk and honey. Those adept at committing crimes are well-read and well understood. It is the wholesale institutionalization of crime. And one convicted (if) some organization is going to try and raise 700M in 72 hours to unjustly enrich the poor betrayed criminal. It is altogether unpalatable. We here want to know when law enforcement is going to step it up. We are asking when those in charge of providing justice for victims are going to set aside their political and financial earning’s potential from within this community and make these types of crimes the exception not the norm. This is just one of many different scams perpetrated using the credit card as a means to commit a fraud. Rest assured, this is one of many. The next one will be worse. And after that, worse still. We have posted the legal filings for this particular case, a civil suit, for your perusal. We did not post the link, lest it disappear at some later date when a reputation management firm decides to get involved. To the ultra-Orthodox who are being victimized by those from within your community, you are NOT A MOSER if you take this to court as below, to law enforcement, to the justice system. If you speak up and prosecute, if you get others to do the same, the criminals will need to alter their behavior. It is high time you educate yourselves and your children. Those in whom you have placed your trust are clearly not trustworthy. The Rabbis should be putting a stop to this. If they are not, they are complicit, in our view. Victims of Credit Card Swipe for Points Scams – People Should be Diminished to Bankruptcy – Someone Should be Accountable! $50M has been lost to credit card scams with promises of bonuses and benefits in exchange for points. Your own people are defrauding you, whether by promising to deliver goods, by borrowing your money, by swiping cards for items you did not get, by promising returns on money. You were promised something in exchange for something else and there may be contractual and fraud arguments to be made. You MUST speak up against the members of your own community who are committing these frauds so that they can be stopped. $50M is a huge number. Bankruptcy is an option but recovery takes years. Speak to an attorney. File complaints with law enforcement agencies. FIGHT BACK!!! Zev Brenner hosted a round table discussion on the Zev Brenner show, and discussed the recent revelation of a Crown Heights Credit Card scam that encompassed nearly four million dollars. The discussion focused on the prevalence of the scam, and how it can be found in nearly every Orthodox Jewish neighborhood. With over $50 Million invested in these shady practices, they are beginning to come apart, leaving the sometimes ignorant credit card holders holding enormous debt. $700,000 Fundraiser is Underway for Rabbi Eisemann Who Laundered Money! US Law Enforcement Check the Numbers? $700,000 Fundraiser For Rabbi Who Laundered Money – Where is the Justice and Where is Law Enforcement to Investigate the Sources and the Beneficiaries of this Money? 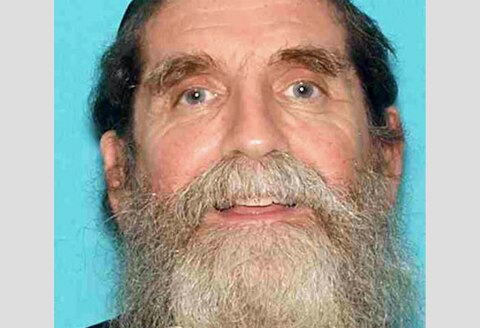 Rabbi Eisemann was found guilty on two of the charges filed against him. He was using money for a school he founded for the wrong purposes, commingling funds between personal and business. And yet, hailed the hero. 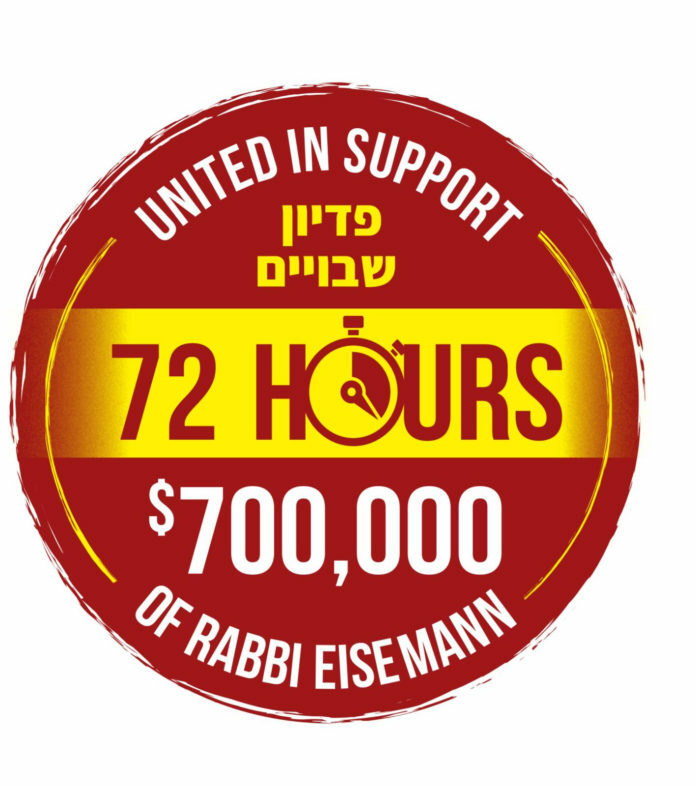 There is a 72-hour, $700,000.00 fundraiser being advertised on Yeshiva World News. A New Jersey rabbi who ran a private Lakewood school for children with developmental disabilities was found guilty Wednesday of using $200,000 in school funds in a money laundering scheme. Osher Eisemann, 61, the founder and director of the School for Children with Hidden Intelligence, was found guilty of second-degree charges of money laundering and misconduct by a corporate official following a four-week trial, according to a release from the New Jersey Attorney General’s Office. A jury acquitted Eisemann of charges of first-degree corruption of public resources, second-degree theft by unlawful taking, and second-degree misapplication of entrusted property, officials said. The private school’s fundraising foundation, Services for Hidden Intelligence, LLC, was also acquitted of all charges against it, authorities said. Eisemann was indicted in 2017 on theft, money laundering, corporate misconduct and misuse of government funds charges. To read the remainder of the article click here. The Dark Side Of Earning Credit Card Points; PSA: Don’t Swipe For Others! Everyone loves earning points and miles, and they should. It’s allowed me and many others to travel the world in first class and stay in five star resorts for free. The memories created from those trips as well as once in a lifetime moments like throwing out the first pitch of game 7 at the World Series in my hometown are truly priceless. But depending how you earn those points, some people end up paying a very high price. 5 years ago I wrote about a couple of scams that were being discussed on DDF. I was sent threats for writing about it, but something had to be done before others fell for scams like Sungames that promised impossible returns from a flimsy business plan and credit card farms that paid a lump sum for all of your personal information and the right to open credit cards in your name. I followed up on them 2 years ago after Sungames went up in flames, but sadly people kept on getting financially ruined by credit card farms after handing over the keys to all of their personal information. Once again I reminded readers that the promise of a financial windfall is never worth the potential damage that can be caused by someone else with all of your personal information. The latest scheme that people are falling for is allowing others to charge your card and getting paid back after a few weeks in order to earn miles. DDF moderator Chaikel first wrote about this years ago, but over the past few months there have been multiple cases involving tens of millions of dollars each of money that has been stolen. Sterling Electronics has been partially cleaned out in a quiet move Thursday night. Many Crown Heights residence witnessed as moving trucks pulled up to the store and workers began removing the merchandise from the shelves. This comes following the revelation of the stores involvement in the recent Credit Card “swipe for points” scandal that left many with tens of thousands, and some with hundreds of thousands of dollars in debt. 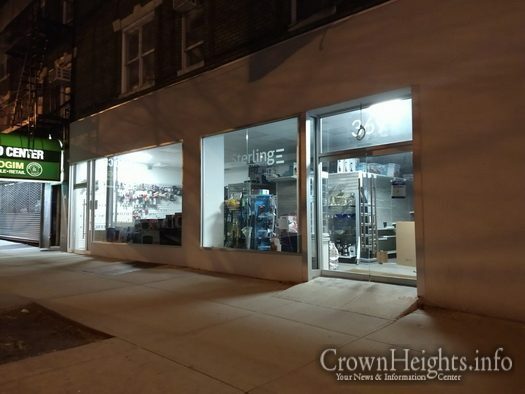 CrownHeights.info has received multiple alerts from community members as moving trucks and multiple workers were seen emptying shelves and merchandise from the iconic Sterling Electronics store on Kingston Ave. Stories of harassment from the workers have surfaced, as they attempted to prevent people from taking photos during the Thursday night clean out. The store can be seen in photos with some shelves bare, and the floor littered with boxes to be packed. This follows the recent revelation of the “Swipe for Points” scandal that was broken here on CrownHeights.info, shining a light on the corruption behind the scandal in hopes of educating the public. The scandal was based in the Sterling Electronics storefront on Kingston ave, and spilled over to an alleged buyout of the famous electronics store “The Buzz.” The buy turned out to never have been completed, leaving many wondering where the money went. The “foolproof” scheme fell apart as the store, already in financial trouble following some alleged “bad business decisions,” became unable to pay its bills. In a last ditch effort to stay afloat, an additional charge was made on the credit cards. This time though, the store was unable to return the money from the charges made, leaving all the credit card owners with the debt. The store has not reopened since the revelation of the nearly 4 Million dollar credit card scheme. Rumors that additional monies taken as personal loans were also involved in the scheme, could not be verified by CrownHeights.info. Corruption Of Public Resources And Money Laundering By The Founder Of A School For Handicapped Children? It is not surprising that such corruption exists and that money laundering is prevalent throughout the United States. However it is amazing that such cases appear with frequency in communities that place great emphasis on religious studies and trying to understand God’s will for their lives. In these same New Jersey communities we also have had numerous cases of welfare fraud. For some amazing reason those responsible will not be required to repay 100% of what they stole as recent reports such as this one from the Asbury Park Press indicates …. Which raises a question as to why the public is expected to pay for that which was stolen from them and is there no longer equal justice for all and special justice for none? The defense in this latest trial has now started. We await with interest to hear the case presented by the defense.